Canada’s forestry industry is second only to agriculture when it comes to increased sector productivity, according to a new report released by the Forest Products Association of Canada (FPAC), and British Columbia has been on the leading edge of that. The study – released May 6 at the PwC’s annual Global Forest and Paper Industry Conference – found that Canadian forestry companies improved productivity by about 2.5% annually over the last decade. 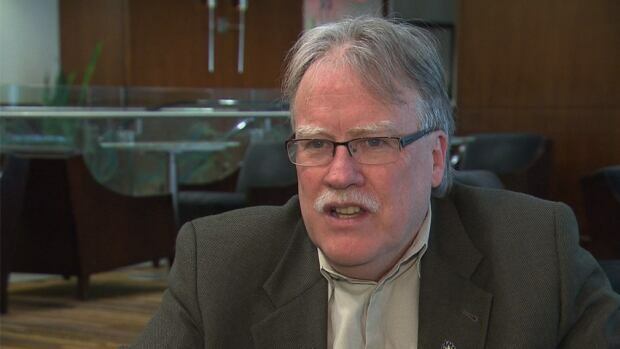 CHETWYND – The provincial government has kick started a public engagement process on changes to the way it doles out forest licences, and Don Kayne, Chief Executive Officer and president of Canfor Corporation was one of the first to speak up. The government is contemplating converting some volume-based forest licences to new or expanded area-based tree farm licences, a move which Kayne says comes at an inappropriate time. “Canfor understands that the brief consultation process is part of Minister Steve Thompson’s mandate letter and we hold Minister Thompson and his officials in the highest possible regard,” Kayne wrote in a letter to the media. Richmond-based pulp and paper company Paper Excellence plans to open its Chetwynd pulp mill as early July. The mill, located in northeastern British Columbia, has been idle since September 2012. Paper Excellence bought the mill from Tembec in March 2014. Paper Excellence is investing $50 million to upgrade the Chetwynd mill. When operational, the pulp mill will employ around 150 people, Jessica Ko, legal counsel for Paper Excellence, told Business in Vancouver. B.C.’s labour movement is urging the provincial government to beef up the way workplace deaths are criminally investigated and prosecuted, after several recent cases ended in no criminal charges. The moves come as a CBC exclusive revealed a criminal investigation into the case of 28-year-old Jeff Caron, who was crushed to death while laying sewer pipe in a trench on Oct. 11, 2012, has only just begun, 18 months after the incident. …Shirley Bond, the minister responsible for WorkSafeBC says the entire investigative process is under review after fumbled investigations in the sawmill fires at Babine mill near Burns Lake and Lakeland mill in Prince George two years ago. Western Forest Products is assessing its security protocols in light of the April 30 shooting that saw two employees killed and two others injured at its Nanaimo sawmill. Michael Lunn and Fred McEachern were shot and killed when a gunman opened fire. Tony Sudar and Earl Kelly were injured in the incident. Kevin Douglas Addison was arrested at the scene. Two counts of first-degree murder are among the charges he is facing. Don Demens, company president and CEO, said the mill is reviewing its current safety measures. MONTREAL – Resolute Forest Products says an agreement has been reached for a four-year tentative contract agreement with Unifor, covering about 2,000 unionized workers at 11 of the company’s mills in Ontario and Quebec The Montreal-based company says the deal, which must be ratified by the workers, includes undisclosed wage increases. The agreement covers seven mills in Quebec: Amos, Baie-Comeau, Dolbeau, Gatineau, Kenogami, Laurentide and Saint-Felicien, and four mills in Ontario: Fort Frances, Iroquois Falls, Thorold and Thunder Bay. The red hot Chinese demand for U.S. timber is beginning to cool due to overbuilding, according to a forest economist. “While we don’t expect a collapse in log exports, we expect exports to slow in the next five years,” said Rocky Goodnow, an executive at Forest Economic Advisors. Chinese housing starts are outpacing sales, particularly in third- and fourth-tier cities that have made vast investments in building, Goodnow said at the recent American Forest Resource Council annual conference. Hard Maple inventories typically swell in the spring as winter-cut stock is moved through kilns before it can stain. This year, however, frigid weather into the spring gave mills the option of pushing back Hard Maple cuts to take advantage of robust Red Oak markets. Not only will the wave of Hard Maple production hit markets later than usual, but markets look strong enough to absorb that wave without flinching—particularly cabinet industry demand for #1 Com and flooring industry demand for #2&3A Common. Tasmania’s Resources Minister has indicated Forestry Tasmania may have to sell services and assets to generate revenue. The state-owned company will not receive any Government funds from next financial year. Forestry Tasmania was due to receive $95 million in Government subsidies. Resources Minister Paul Harriss is confident the company will be able to balance the books on its commercial operations. But there is concern the agency will struggle to stay afloat. Mr Harris told ABC Local Radio Forestry Tasmania is currently negotiating with Treasury and the company may sell services. Malaysian-based timber company Ta Ann has secured $7.5 million in federal funding to build a plywood mill in Tasmania’s north-west. The company has become the fifth recipient of funding tied to Tasmania’s historic forestry peace deal. The money was committed by the previous Labor government, but the Coalition put the payment on hold while it conducted a due diligence test. 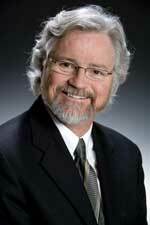 The Government has been re-assessing many of the projects seeking a share of $106 million. Ta Ann plans to build the plywood mill beside its veneer operation at Smithton. Numerous negotiations between central European importers and value-adders as well as Finnish and Swedish shippers on deliveries of rough-sawn Scandinavian whitewood in the second quarter were not concluded until mid-April. As such, this year’s negotiations took considerably longer than those conducted last year. The widely differing notions of prices were given as the prime reason for the delays. Whereas shippers had put mark-ups of €10/m³ and more up for discussion at the beginning of the negotiations, the majority of customers had been pressing for a rollover of the prices that had applied in the first quarter. Following on from the success of Australia’s tallest fully timber residential tower, Forté, comes the nation’s tallest timber commercial building. To be located on Sussex Street in Sydney’s central business district, the seven storey building is designed by Fitzpatrick + Partners and delivered by Lend Lease. The timber-framed building will predominantly be constructed with glulam, or glued laminated timber, whereby pieces of timber are glued together to produce larger and longer members that can be used for structural applications. “The beauty of timber is that we can use it in very similar ways to how we use steel,” says Fitzpatrick + Partners’ principal, Rod Pindar. 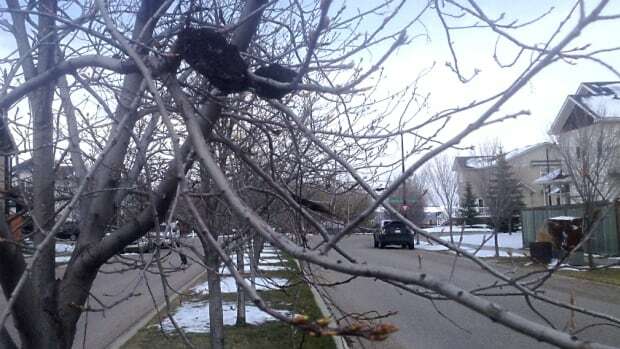 An air-borne fungus is infecting thousands of trees in Calgary. The disease is called black knot, and it infects trees in the prunus family. Schubert Chokecherry and Mayday trees in the city are particularly affected by the fungus, which looks like black clumps of coal that wrap around twigs, branches and even the trunks of trees in some extreme cases. Black knot has been keeping arborists in the city very busy this spring. PORTLAND, Ore. — A conservation group is threatening to sue the U.S. Fish and Wildlife Service to force action on petitions to give Endangered Species Act protection to four kinds of salamanders and a frog found in the Northwest. The Center for Biological Diversity filed a notice Wednesday of intent to sue, a prerequisite for actually suing the federal agency. The notice says the service is more than a year late in deciding on petitions to protect the Cascades frog, the Oregon slender salamander and three species of torrent salamander. More than 200 scientists also called for a reviewing the amphibians’ status. SANDY — Demonstrators stomped around in a kiddie pool full of mud to protest a timber sale in the Mount Hood National Forest. At the rally Wednesday in front of the forest headquarters in Sandy, members of the group Bark said the kiddie pool demonstrated that logging would result in mud washing into the Collawash River. A tributary of the Clackamas River, it’s critical salmon habitat. A national forest spokeswoman, Laura Pramuk, told KGW that geologists, hydrologists and biologists have reviewed the logging project and determined the river would not be hurt. Ashland’s strategy of budgeting some of its own money for thinning in the U.S. Forest Service-controlled Ashland watershed has paid off with a $175,000 grant from the National Forest Foundation. Last spring, Ashland budgeted $350,000 over two fiscal years for wildfire fuels thinning in the watershed. Under an agreement approved this week, the National Forest Foundation and the city will each contribute $175,000 — for a total of $350,000 — to Ashland-based Lomakatsi Restoration Project, an organization with years of experience treating the watershed. A pink ribbon means mercy. A blue blast of spray paint means the end is near. With rolls of ribbon and paint cans, a half-dozen volunteers spent Wednesday morning tramping through underbrush and marking trees for the Kitsap County’s planned selective logging program at Newberry Hill Heritage Park. The zones marked in pink will stay intact, preserving some of the 1,100-acre park’s oldest and most ecologically-diverse stands. The trees girdled with a blue ring will be cut and hauled out. New research at Michigan State University shows that the uber-destructive emerald ash borer arrived at least 10 years before it was first identified in North America. The study, published in the current issue of journal Diversity and Distributions, shows that EABs were feasting on ash trees in southeast Michigan by the early 1990s, well before this pest was discovered in 2002, said Deb McCullough, MSU professor of forest entomology. “We suspect they arrived inside wood crating or pallets imported from Asia where the beetle is native,” she said. Himachal Pradesh is all set to regain its lost green glory thanks to an initiative by the Himalayan Forest Research Institute (HFRI). The heritage of trees in the state- silver fir and spruce that have been indiscriminately felled over the past two decades – will now be cultivated again with a new technique. 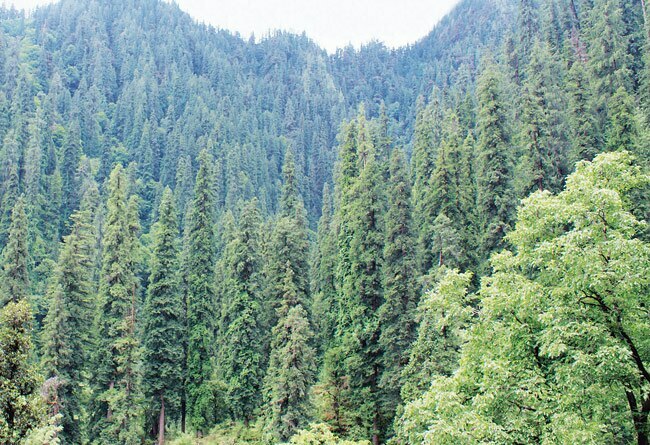 The HFRI has developed a novel mechanism for planting the two hardwood conifers in inter-cropping patterns with Himalayan poplars, making it possible for the first time to regenerate the conifer forests of the state that were extensively wiped out. 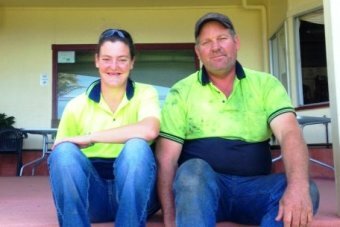 There’s increased confidence for some in Queensland’s forestry sector, as commercial loggers gain access once again to State Forests. Last year, the State Government allowed up to 30,000 hectares of state forest a year to be logged in western, central and northern Queensland. State forests have in the past traditionally been used for timber production, beekeeping, grazing, forest recreation and watershed management. Rod McInnis, from industry lobby group Timber Queensland, says that when the former Labour Government closed state forests for conservation, the industry was in limbo. TASMANIA’S new government has introduced legislation to repeal the state’s forestry peace deal. The Tasmanian Forests Agreement took more than three years to negotiate between environmentalists and the timber industry after it was instigated by the previous Labor-Green government. The state’s new Liberal government has tabled its Forestry (Rebuilding the Forest Industry) Bill in the first week of the new parliament. “The Tasmanian government has said enough is enough,” resources minister Paul Harriss told parliament on Thursday. College of New Caledonia researchers have turned $20,000 into wood stove-generated electricity. On Wednesday, the school’s applied research and innovation department unveiled the results of a six-month long project using new technology to produce power from the heat of a wood stove. Funded by a grant from the Omenica Beetle Action Coalition, the thermoelectric generators showed electric current can be produced from any hot surface. That has the potential for a wide range of uses, including power recovery in cars and charging electronic devices in the backcountry. A key challenge in the biofuels landscape is to get more advanced biofuels—fuels other than corn ethanol and vegetable oil-based biodiesel—into the transportation pool. …A multi-university team lead by George Huber, Professor of Chemical and Biological Engineering at the University of Wisconsin-Madison, has addressed both challenges through the concerted development of technology designed to transform lignocellulosic biomass into a jet fuel surrogate via catalytic chemistry. 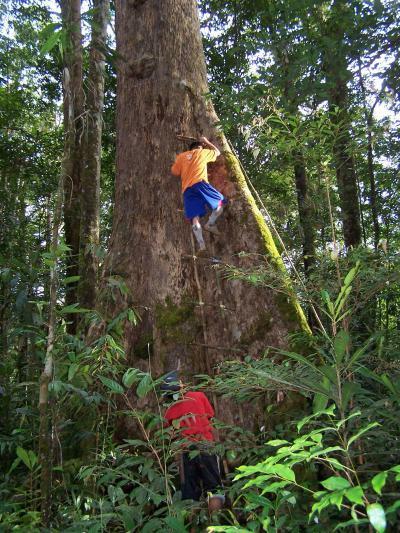 A team of scientists has found that the woody growth of forests in north Borneo is half as great again as in the most productive forests of north-west Amazonia, an average difference of 3.2 tons of wood per hectare per year. The new study, published today in the Journal of Ecology, examined differences in above-ground wood production (one component of the total uptake of carbon by plants) which is critically important in the global cycling of carbon. Trees are taller for a given diameter in Southeast Asia compared with South America, meaning they gain more biomass per unit of diameter growth, and this in part explains the differences observed. “The announcement by Simon Bridges, the Minister of Energy and Resources that the Government will contribute $1.5 million to improving the supply and use of wood fuel in Southland is a good signal that the Government is recognising the employment, economic and energy supply benefits from using wood instead of coal as a fuel for heating.,” said the Chair of the Bioenergy Association today. The Minister made his announcement at the Bioenergy Association conference in Rotorua on “Successful Installation and Operation of Wood Fuelled Heat Plant”.